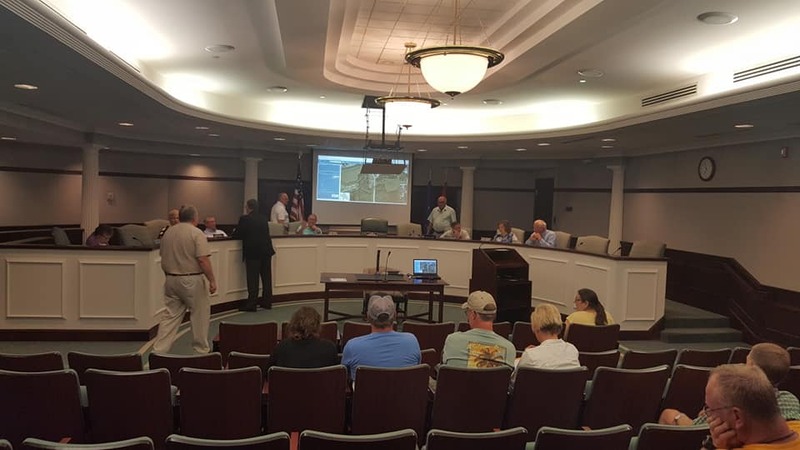 JASPER -- The Jasper Common Council has approved funding for a study of the Mid-State Corridor, connecting Dubois County and I-69. The council unanimously approved the resolution calling for a $7 million study of the proposed connector. Jasper has agreed to pay $1.4 million over the next three years toward the study, according to Matt Crane, our media parnter with the Dubois County Free Press. The city of Huntingburg has also committed to the project. Officials there and in Spencer County are expected to contribute funds as well. "[It's] not good, it's a great project," Indiana governor Eric Holcomb tells WITZ Radio News' David Shepherd. "A lot of my cohorts, governors from across the country; they're not in this position to be able to say, 'ok, what's next?" A local group of business owners and public officials have been calling for construction of the corridor, which would connect from the Ohio River in Spencer County, through Dubois County to I 69. A newly formed RDA (or Rural Development Authority) needs to raise $7 million to facilitate the Phase I study needed to bring the group’s plan to INDOT for consideration. The $7 million will be split between private businesses and public entities in a public/private partnership. "It's another shining example of communities coming together, thinking regionally, absolutely locally, but regionally, tapping in to all the assets of that region.," added the governor.